I wanted to express my extreme appreciation on behalf of myself and my athletes for the performance of your Ironwear Speed-Vest and Ironwear Hand weights. 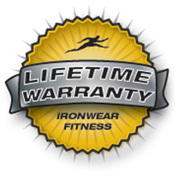 In my 32 years of coaching Track & Field at every level I can honestly say that the Ironwear products are the "Leader's of the Pack" when t comes to quality, fit, feel, and performance. When it comes to resistance training for ALL EVENTS in Track & Field there is no better product available! Keep up the good work! El Dorado High School Head Track and Cross Country Coach"
SPEED-VEST™(short) is designed for running, jumping and intense training. 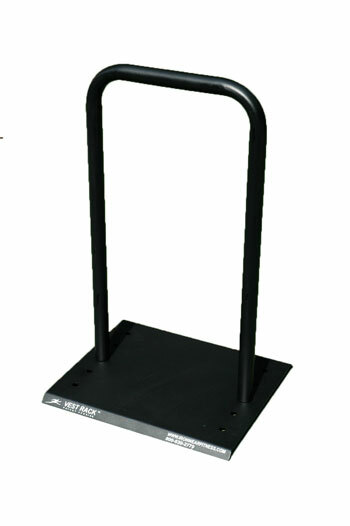 This is the best training tool for track and field events, basketball, soccer, football, baseball and volleyball. 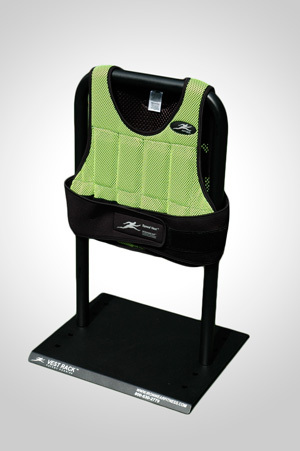 SPEED-VEST™ (short) is the top of the line for athletic weighted training vests. The fast design of this patented vest combines IRONWEAR’s™ soft Flex-metal™ weights with a wide array of high performance features unmatched by any other weighted vest. SPEED-VEST™(short) gives you the ultimate fitting, thinnest, and most comfortable weighted vest available. The proprietary oversized stretch strapping system holds the vest securely to almost any young athlete to adult size torso, while the new double lock system on the belts keeps the vest completely stable. The design allows the vest to expand to accommodate your breathing, even during rigorous exercise. SPEED-VEST™(short) incorporates a high visibility neon green porous polyester shell to allow air to flow freely through the vest. SPEED-VEST™ helps to keep you cooler so you can workout harder. 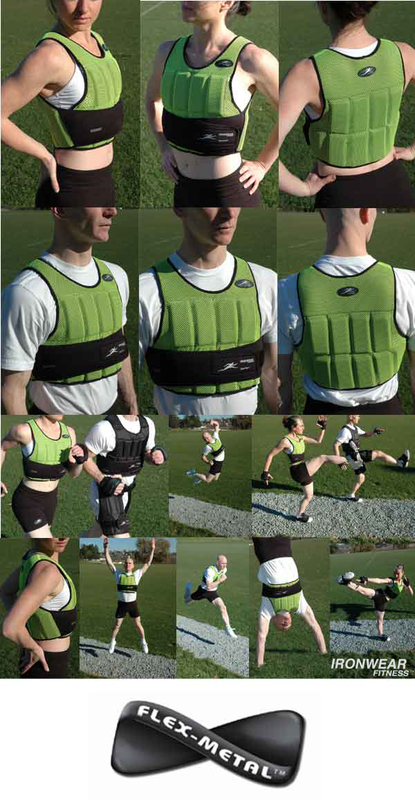 SPEED-VEST™ (short) stays in place better than any other weighted vest. Every aspect has been designed to minimize movement of the weights. The SPEED-VEST™ is designed to tightly hold one weight in each per pocket so that no movement occurs during rigorous exercise. The SPEED-VEST™ (short) provides an exact balance of weight from the front to the back of the vest while the special weight pocket system allows the soft weights to bend and flex with your movement. SPEED-VEST™(short) will not get in your way. With one layer of soft Flex-metal weights the vest is only a ½ inch thick. This combined with the unique thin flexible padded shoulder straps keep the SPEED-VEST™ from inhibiting your movement in any direction. SPEED-VEST™ (short) is easy to clean. Hose it off, hand wash or machine wash with the weights removed. 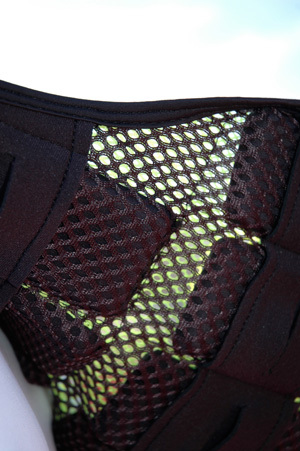 SPEED-VEST™ (short) can be worn in the water. The vest is constructed primarily of a fast dry polyester mesh. The porous design keeps water from collecting and permits the vest to dry quickly. 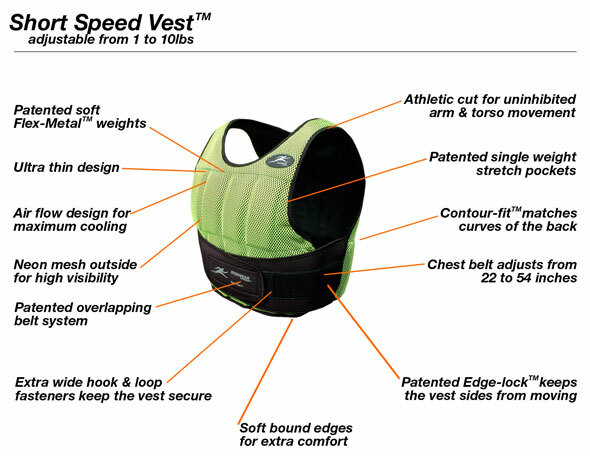 The SPEED-VEST™ is currently being used by competitive swimmers and for training water polo players. It has been about 6 months. I purchased the speed vest from Power Systems, as I have purchased much if not most of my home gym equipment from them. I did want to let you know that the design of the vest is superior to what I had previously. It wears easily and snugly without "cutting into" my small frame. It consistently closes tightly with the velcro each time. I wear it for swimming laps, and rock climbing routes as I train for climbing. -It dries out in an eve, laid out flat. It washed well when one of my friends used it, sweated profusely in it (that was gross) and has survived 6 months of regular, daily wear. It does not sag with the weights inside ( as the other vest had done). The stitching has not come apart, the vest has no holes or frayed areas. I am truly impressed with the product. It is an excellent, well made product. I wanted to let you know. I thank you for this product!! !